Seeing as how I'm having a mighty struggle getting recipes on this here blog, at the moment...and seeing as how I'm immersed in making handmade Christmas prezzies...well, it naturally followed that I share a few ideas with you fine people. So...drum roll...today we have a little special something-something. 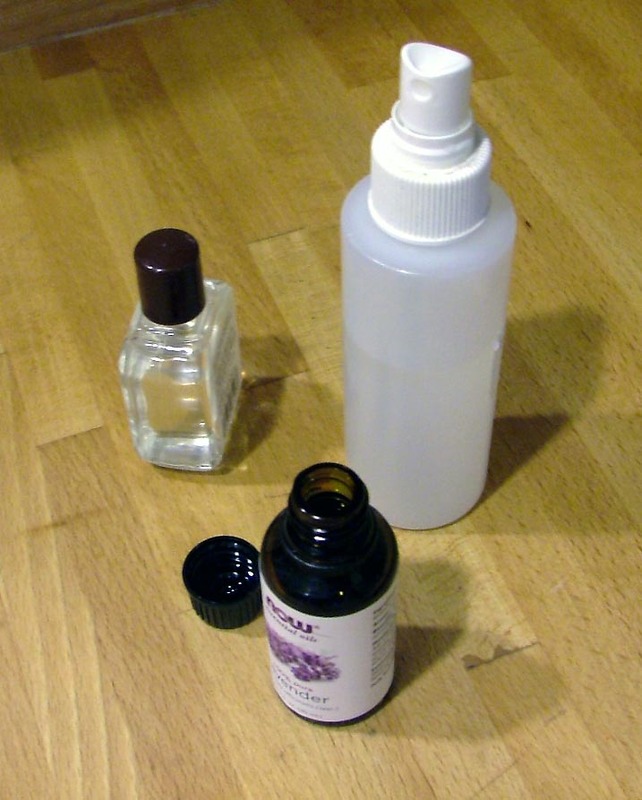 Lavender and Tea Tree Spray. My dear friend, Jamie, the maven of all things herbal and beautiful, first gifted a Lavender Spray to me, a few years ago. I fell in love with the idea of this gift, and have had plans, since I received it, to learn the recipe and share the love. So, finally, at long last, here's my wee adaptation of Jamie's recipe for room and linen spray. Pour each ingredient into a spray bottle, mine was about a 6 oz bottle, shake, and there you are! Lovely to freshen a room, or spray onto your linens. Also, this is perfect to mist about when you've got people down with a bug, both tea tree and lavender have antiseptic qualities. Might I also add, should you suffer from a bit of uptightness from time to time...lavender is very calming. Just saying. Lovely! But I don't have any vodka on hand, might rubbing alcohol work?